Bendu takes her daughter from a midwife at a health centre in Grand Cape Mount County, Liberia. UNITED NATIONS, New York – May is a time for motherhood. Dozens of countries around the world observe Mother’s Day this month, celebrating the strength and beauty of mothers everywhere. The fifth of May, meanwhile, is the International Day of the Midwife, a day to commemorate the dedication of midwives who guide women safely along their journey to motherhood. In honour of these occasions, UNFPA has assembled a collection of images showcasing some of the milestones women encounter as they prepare to become mothers, an experience filled with joy, peril, courage and, above all, love. Nothing matches the experience of becoming a mother. The first missed period or positive pregnancy test, the first prenatal exam, the first twinges of anticipation – these moments are landmarks on a life-changing road. It should be a time of wonder and excitement. But for many women, pregnancy is also a time of anxiety. The responsibilities of parenthood are vast, and for women living in poverty or displacement, these challenges are especially daunting. Noor, a refugee, spent much of her pregnancy in a camp in Greece. As she neared her due date, she steeled herself for delivering a tiny newborn in a foreign land, and into an uncertain future. For women facing the added hardships of poverty, illness and extreme inequality, for those living in remote communities without trained health professionals, pregnancy can be a time of great risk. This is a tragic reality for all women embarking on the journey to motherhood: Pregnancy increases a woman’s vulnerability in countless ways. Women are more prone to malnutrition, which can increase the risk of infections. Pregnancy can also exacerbate the effects of illness. In one rural Ethiopian community, locals used to call these risks the “mother stealer.” Asmer Geremew lost her mother and two sisters to maternal causes, and she nearly died herself after bleeding profusely following the birth of her son. 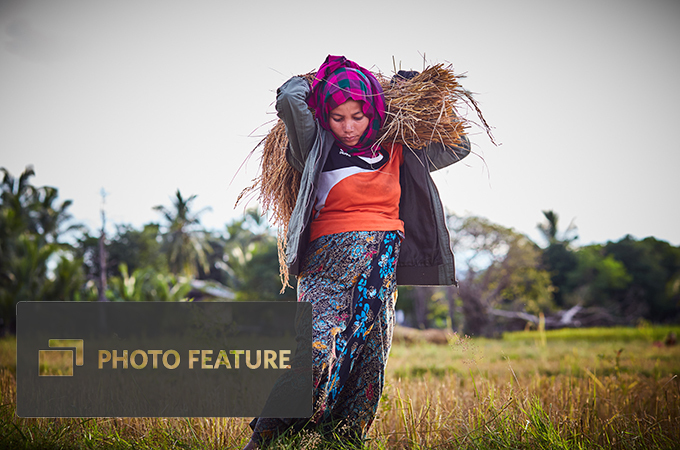 “I delivered, and then the stealer came,” she told UNFPA in the village of Tebabari. And women living through conflict or disaster are particularly at risk. 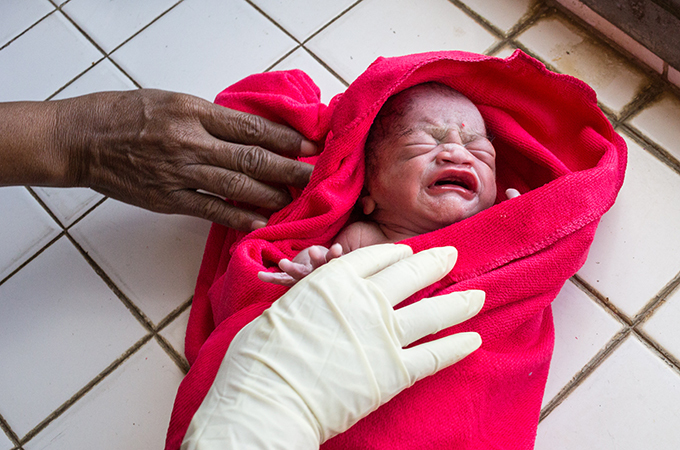 More than 60 per cent of maternal deaths take place in humanitarian crises and fragile settings. The devastating 2015 earthquake in Nepal destroyed health centres, leaving pregnant women without access to skilled care. Sabina Acharya, 18, was fortunate, however. She was visiting a UNFPA-supported mobile health camp when she went into labour. Medical professionals were able to rush her to a clinic for a safe delivery. Midwives are helping to reduce these terrifying risks. Estimates show that, with sufficient training and support, midwives could avert an estimated two thirds of all maternal and newborn deaths. 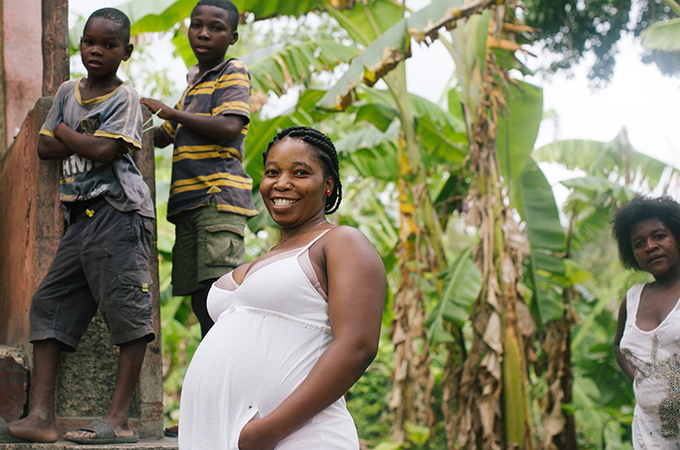 Midwives encourage women to receive antenatal care and deliver in health facilities. They have the skills to detect and treat deadly complications. And they are usually members of the communities they serve, enabling them to visit patients’ homes and offer culturally sensitive advice about maternal and newborn health. These interactions are critical. Studies show that, during labour and childbirth, women around the world endure disrespect, humiliation or neglect at the hands of poorly trained health providers, discouraging people from seeking life-saving maternal care. Skilled midwifery care makes all the difference. Myrtha, 26, was disappointed with the quality of care she received at a local clinic in Haiti, where she was incorrectly told she was not pregnant. Now, she travels over an hour to visit the midwives at a UNFPA-supported maternity centre in Marigot, where she says she is treated with kindness and respect. After the challenges of labour and the extreme exertions of childbirth, there is the reward of new life. The first moments of life, of new motherhood, are filled with promise. With the right care and a little luck, babies are welcomed into the world with joy and tenderness, and their mothers experience the relief of a safe delivery. This should be the start of a lifetime of bonding and love. But the dangers are not over. Both mother and baby are highly vulnerable in the post-natal period. Bleeding, sepsis and hypertensive disorders can all threaten women’s lives in the weeks after they give birth. And more than 40 per cent of early child deaths take place in the first 28 days of life. Midwifery care is as important as ever in this period. 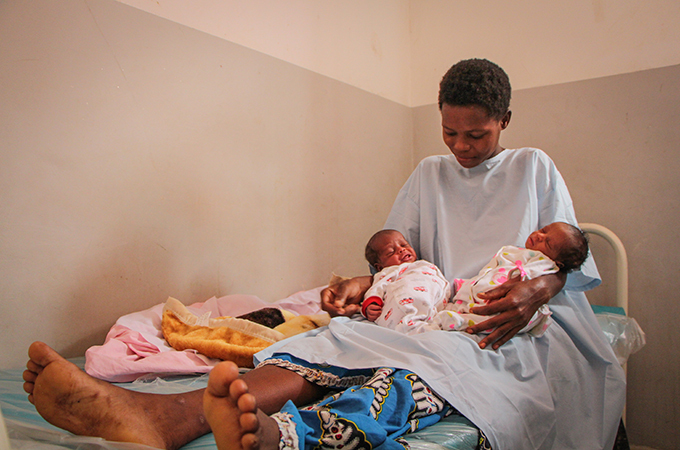 Follow-up visits ensure both mother and baby are healthy and receive treatment as needed. As common as the journey from pregnancy to motherhood is, it almost never goes as expected. Congolese refugee Yvonne Mboi was concerned as her pregnancy reached its end. “I realized I was too big. I was afraid,” she recounted recently from a hospital in Angola. When she gave birth, she was greeted with a surprise: two little girls.